Israeli air strikes hit sites across the Gaza Strip on Monday in retaliation for a rare long-distance rocket attack that struck a house near Tel Aviv. The rocket from Gaza that hit a house in Israel early Monday was a rare long-distance strike and Israel’s army said it was fired by Hamas. The response from Israeli forces was immediate and massive. On Monday they struck targets across the Gaza Strip, including the offices of Hamas’ supreme leader, in response to a surprise rocket attack from the Palestinian territory, as the military bolstered its troops and rocket-defence systems in anticipation of a new round of heavy fighting with the Islamic militant group. Israel, whose strikes began around the same time Prime Minister Benjamin Netanyahu met US President Donald Trump in Washington, has not commented on the claim. Israel response was a quick blitz targetting the Gaza Strip. 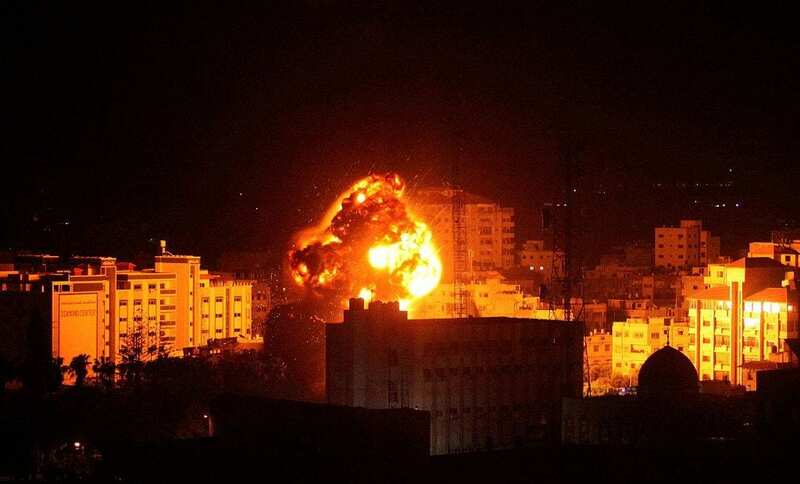 Hamas’s interior security office in Gaza City was also hit. In the process of these strikes, they destroyed several local businesses including a school of motoring and his and Associated press office. Most major cities and civil defence authorities cancelled sports events and public transportation in southern Israel. The Israeli army said air raid sirens wailed across southern Israel late Monday night, and Israeli media reported at least 30 rockets fired into the country, but it provided no further details. “Egyptian efforts succeeded with a ceasefire between the occupation and the resistance factions,” Hamas spokesperson Fawzi Barhoum said. Further exchanges of fire occurred after the ceasefire announcement, but calm seemed to return by around midnight (2200 GMT).